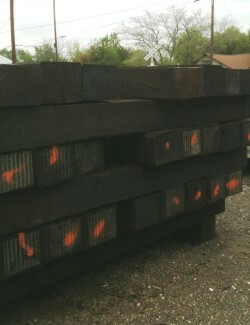 Treated wooden railroad ties in service in the United States carry some of the heaviest rail shipments in the world. Individual cars weigh in excess of 130 tons. It is estimated that there is over 700,000,000 wooden ties in use in the U S today. That means that not only are these railroad ties holding up the cars but they are holding onto some 22,000,000 pounds of Greenhouse Gases. That is a load that we can all appreciate.